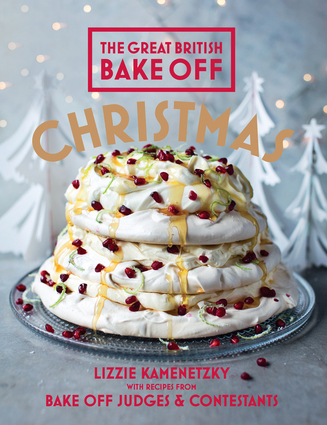 Recipe c/o The Great British Bake Off: Christmas. British Bake Off with the family? If there is, I don’t want to know about it. Since the show premiered on PBS in the States four years ago, the cult of Mary Berry has inherited a whole new audience. Needless to say, I am a card-carrying cult member. Luckily, we carry a wide range of GBBO cookbooks, including Mary’s latest title, Foolproof Cooking, and her upcoming book, Mary Berry Everyday. I can get my fix of the Baking Queen whenever I want, but this holiday season, I decided to spread the joy to Mary’s newest, littlest fan, my two-year-old nephew, Miles. Together, Miles, his mom, and I built Mary Berry’s Gingerbread House. Things got messy. With the flour flying, the dough cracking, and an over-excited Miles refusing to go to bed, our attempt had more drama than the famous baked Alaska meltdown of 2014. RIP Iain’s baked Alaska. Gone but not forgotten. We had to split this project up into two days, because children. I’m convinced they all naturally have ADD. But I digress. Julie, my sister-in-law, baked a practice batch of the gingerbread earlier in the week. However, hers was missing the key ingredient: the coveted golden syrup. I say coveted because she checked multiple local stores and couldn’t find it anywhere. Finally, our baking lord-and-savior, the one and only Bridget Costin, came through at the last second and offered us her bottle. Bridget: May we remember her sacrifice every time we eat of this gingerbread. Miles loves to help in the kitchen. Atop his tower (where he can actually reach the counters), his first step involved helping me chop up 3 and 1/4 sticks of butter. …and here he is trying to fling the pot full o’ butter all over the kitchen. He’s distressed that I wouldn’t allow this. The butter, mixed with the golden syrup and sugar, melts together in what I can only describe as the closest thing to the nectar of the gods. Pure. Sugary. Bliss. It smelt like heaven. And pancakes. While I melted the liquid diabetes, Miles helped his mom mix the dry ingredients together. He had a little too much fun with this. One turn around the bowl and half the kitchen floor was covered with flour. We poured the melted mixture into the center of the dry ingredients. Julie—after a quick change of clothes—carefully put her trust into the two-year-old yet again. Thankfully, no spills this time. After kneading the mixed ingredients into dough-form, we chopped up a ginger-dough log into appropriately sized chunks. Next, Julie placed a sheet of parchment paper over Mary Berry’s Gingerbread House templates (available inside the cookbook as well as available for download), and began to roll out the dough. Miles, as he is wont to do, took control of the situation. Typical man-child always has to be the boss. He clearly didn’t read Mom’s shirt. Honestly, this was probably the most difficult part of the whole procedure. The dough can easily become too dry to stick together, so we worked and re-worked that sucker over and over again. Our attempts to match Mary Berry’s shapes, as well as the desired 1/3 inch thick pieces, were quickly thrown out the window. We wanted the gingerbread house to actually stand, so we made the pieces a bit thicker. Our star-shaped cookie cutter was too big, so I had to free-hand it into the front piece. Listen, I tried my best. Basically our end result after rolling out the dough. At this point in the process, it was past Miles’ bedtime. He didn’t think so (his words, not mine). Mom and Dad did indeed think so. A debate ensued between a toddler and a couple adults for the next 25 minutes. It was basically like watching Congress. Except in this case, we all eventually ignored the screaming child throwing a tantrum in his bedroom while the adults actually got work done. For the rest of the night, Julie and I baked the gingerbread pieces. I wound up dropping the back piece of dough onto the floor, so I had to make another. My brother laughed at me. It was unfortunate. My brother is clearly the Paul Hollywood of the family. To make the stained glass windows from Mary’s recipe, Julie smashed a bunch of Dum Dum lollipops she uses for Miles’ potty training treats. A mother of two babies under 3 years old smashing the bajeebus out of sticky baby suckers? I imagine it was quite cathartic. We ended the day by baking a batch of chocolate chip cookies and watching the new season of The Grand Tour. Because for some reason, my brother/Paul Hollywood decided he got to choose what we watched, instead of the women who spent the evening wrangling babies and baking cookies. Mary is not here for his Paul Hollywood shenanigans. The next afternoon, we quickly whipped up some royal icing and began construction on Casa de Miles. Pro tip: Plastic star wands make great spoons in 2-Year-Old-Land. Miles admiring all of his hard work from the previous night. Decorating a gingerbread house is like finger-painting for adults: there is no wrong way to do it. While we’re not quite as talented as some of these gingerbread bakers, Julie is a total pro roofer. Check out that Wheaties shingle work. Impeccable. Toddler Logic: Use toothpicks to poke the Wheaties into place. Meanwhile, I shoved some toothpicks into the edges of the front and back pieces, to stabilize the roof once it was ready to be placed. Miles helped by haphazardly stabbing the gingerbread with toothpicks, and then accidentally knocking down the front side of the house. My beautifully grotesque stained glass star cracked in half, but we quickly spread some royal icing along the broken edge and patched it back together. Finally, Miles added the finishing touch: the Wheaties roof. The look of a kid who is totally amazed by the power of gingerbread. Admittedly, we did have a chimney baked and ready to be added, but a couple of nameless individuals ate it instead. Overall, I think the gingerbread house turned out a lot better than expected! It might not be Mary Berry-standard, but heck, it’s still standing! Featuring Graham Cracker the Nutcracker. Miles named it. Have you built your own gingerbread house as pretty as ours? Tips for holiday baking with toddlers? Let us know below! Every great journey starts with a single Wheatie shingle. Who is this? Oh my grandson! I always wanted to be an architect. Glad someone in the family is fulfilling my dream.